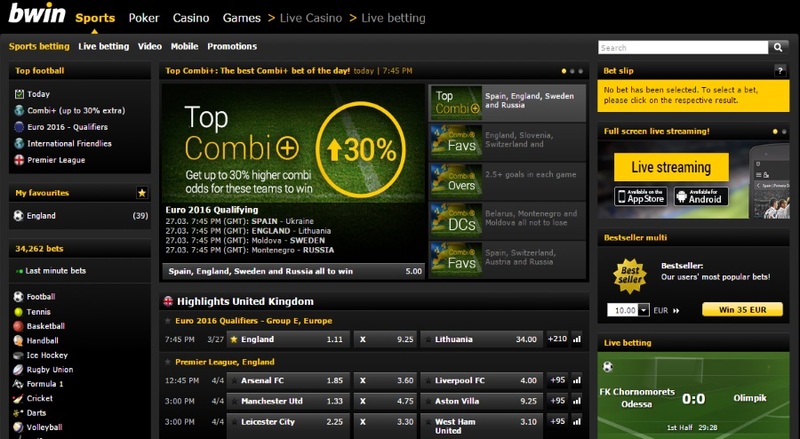 The global brand that is bwin has to be one of the most instantly recognizable bookies there is. If you watch any kind of sport you will in all likelihood have seen bwin on a sponsor’s board somewhere. MotoGP, premier league football in several countries, darts, and cycling the list is impressive and fairly long. With names like AC Milan, Manchester United, Juventus, FC Bayern München, FC Barcelona and Real Madrid connected with bwin they have a pedigree for sure. The Austrian bookie has been around the block for a few years now and they know how to wow. 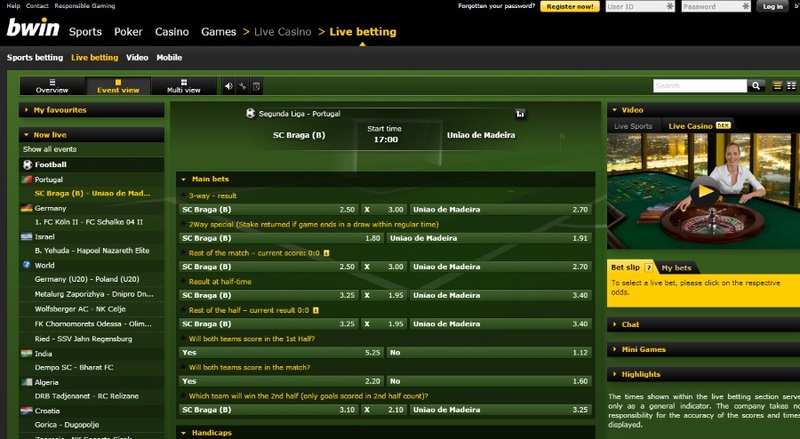 With 90 sports on offer and on average 30 000 bwin betting opportunities daily. That’s some pretty impressive numbers. 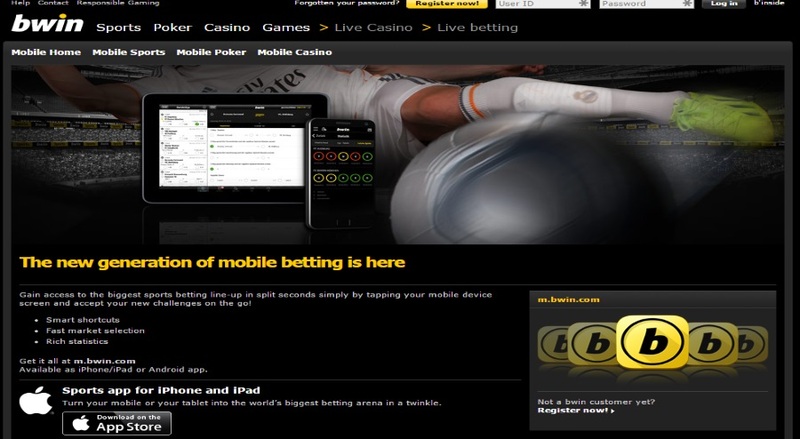 The fact is that bwin may well be the world number one in online betting that they claim to be. We will try to get to the bottom of that with our bwin review. The colour scheme may not be everybody’s favourite but it does seem to be the one most are using these days. The black and charcoal grey with coloured highlights works well. It’s a classy no nonsense approach that is typically Austrian. Functionality of the site is good and the software works extremely well. The money behind the brand shows through. The site works very well and it doesn’t take any getting used to with the standard layout of sports on the left fixtures in the middle and bet slip and adverts on the left. There are no shocks good or bad it’s just very smooth. The nice touch is the geo-locator software which will recognize your location and prioritize events in your area. Of course if you are a poker fan or a casino buff then you can use your account to play via the fully integrated website. As you would expect at Bwin sports betting is the main focus. They have one of the most comprehensive selection of sports in the business. From motor sport to combat sports, single player to full team they have got them. The range is frankly excellent. But, and it is a big but for some, there’s no horse racing or greyhounds. From one of the leading players in the field it is to be fair, disappointing. If you are into football then the choice is not bad at all 6 leagues from England alone. Here’s another but, the number of markets is actually quite low. With the main competition you would get at least 150 -200 different markets to bet on with a top premiership game. At bwin you are looking at around 75 – 100. When we are talking prices these are not the best in the industry by far but they are still good. The fact that you know you are going to get paid out on time with no fuss makes up for a few things. At bwin sports betting is not the only flutter you can have though. If you fancy yourself as a political pundit there are always elections going on somewhere. You can make your bets far in advance on maybe the French presidential or the German federal elections. Or the next US president way of in the future. If politics is not your thing then how about entertainment? Eurovision song contest anyone? There are 73 markets available for that! Bwin has a very good mobile app available with ‘live alerts’ feature so you don’t miss anything. Their cash out feature works especially well on the mobile app. Anytime anywhere you can take advantage of a situation and get all or some of your bet paid out. Then we have the best feature of the mobile app – the live streaming. Having live streaming on the main browser site is a big plus anyway. Having it available via mobile is even better. The quality is second to none. You get a full screen live feed with a choice of over 16 000 events! We have mentioned the less than great odds that you get at bwin. Another area where they won’t win any prizes for is promotional offers. The bwin bonus program barely exists. There are promos run but there are nowhere near as many as their rivals. The other aspect is they can be country specific, so there really is no point listing any. That’s it really for the bad bits. Known as one of the most reliable bookies online they are typically Teutonic. Everything they do they do efficiently there may be a slight lack of flair but you can’t knock the product. Regulated by both the UK Gambling Commission and the Gibraltar version you know that the rules are adhered to. Members of ESSA and EGBA bwin are committed to the industry. Certified by iTech labs so the software is fair and legit and any issues with bwin can be dealt with via eCOGRA. VeriSign supply the encyription software so you know your money is safe with this leading brand in charge of security. Support is good with a live chat feature, email and phone lines available. The staff are very helpful – quick in responding and they usually sort things out. There is also the ubiquitous FAQ page for those quick questions. All in all bwin is a good bookie. There are no reasons not to trust them they pay out on time with no fuss. They did have a reputation for putting limits one winners fairly quickly, but things seem to have got better on that front. The company is massive they are not going broke very easily. Your money is safe. The only way you will lose it is by backing the wrong side! There are better odds out there. 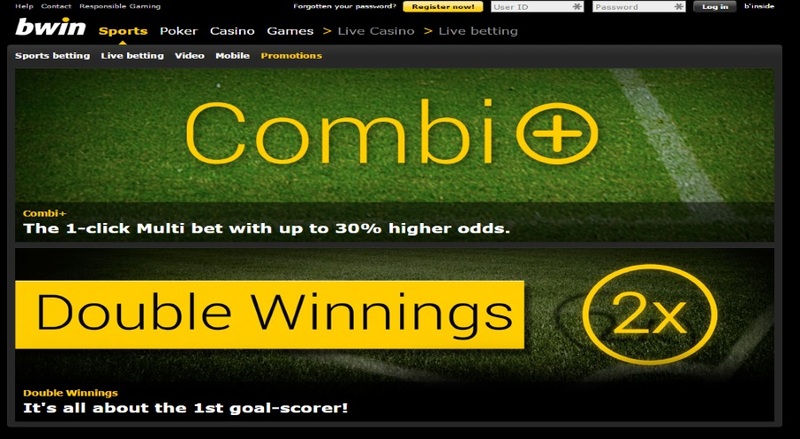 There are better promos and offers but the peace of mind you get when having a punt with bwin is worth the few niggles.